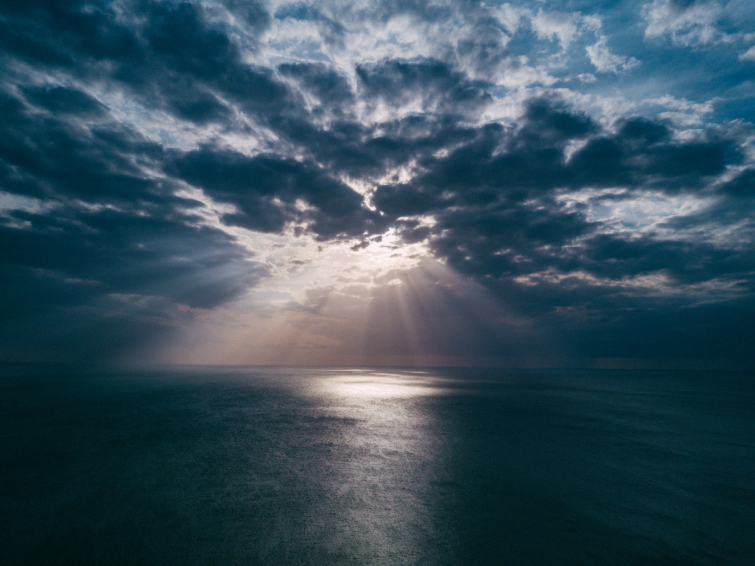 In the gentle, balanced, and Scripture-based manner we've come to expect from him, Dr. Michael Brown exposits the issue of the rapture and the second coming of Jesus Christ to establish God's kingdom on the earth. His op-ed for The Christian Post examines whether Christians have been misled, however well-intentioned, by the idea of a pre-tribulation rapture. "We’ve heard it taught for years. Jesus is coming like a thief in the night, so be ready," Dr. Brown begins. "He could come at any moment, without any warning, so stay alert. You don’t want to be left behind!" Dr. Brown recalls first hearing this teaching shortly after becoming a Christian in 1971: "The signs were all there. The prophecies were being fulfilled in front of our eyes. You could feel it in the air. Jesus was about to rapture His church – to catch us away – at any moment." Christians influenced by Hal Lindsey's The Late Great Planet Earth watched the clock tick as event after event seemed to indicate Jesus' imminent return. "But that was a long time ago," Brown says, "almost 50 years now. And still, Jesus hasn’t returned." Other mega-bestselling book series have come and gone from the bookshelves of Christian homes and, as each momentous event passes without that trumpet sound, we have to wonder, is this really what the Bible teaches? "Have our expectations been wrong," Brown asks? "Are we following a popular, relatively modern teaching rather than the Scriptures?" Brown clarifies that the Bible unequivocally points ahead to a literal, bodily return of Jesus Christ and that, "without a doubt, the New Testament calls us to live with readiness and expectation," and this is a non-negotiable tenet of Christian orthodoxy. "But," he continues, "does the New Testament teach that, for true believers, Jesus will come suddenly, like a thief in the night, without any signs? Or, to the contrary, does it teach that His coming will not be like a thief in the night for godly believers, since we are awake and alert, fully aware of the signs of the times?" "The gospel is spreading all over the world in unprecedented fashion, just as the Scriptures predicted," Brown stated, declaring that he very firmly believes we are living in "prophetic times" today. "Out of the ashes of the Holocaust, Israel has been rebirthed and Jerusalem remains at the center of world attention, again, in accordance with the prophets’ words"
"And around the globe, Christians are being brutally persecuted for their faith, mowed down by the hundreds and thousands," he continues. "This too is in harmony with Scripture, which speak of the last days as times of great blessing and great upheaval, of great light and great darkness, or great victory and great conflict." However, the concept of an "any-minute rapture, followed by the Second Coming of Jesus 7 years later," Brown contends, may not be rooted in truth. Instead, Brown invites Christians to consider whether "rather than being rescued from a time of Great Tribulation, God will enable us to endure and overcome while in the midst of it?" Looking back to his infancy in Christ in the '70s, Brown recalls that the imminent return of Christ and the pre-tribulation was taught as a given: "This was Bible. This was truth." The more Dr. Brown pored over the Scriptures and studied them, however, "the more I realized I didn’t learn this doctrine from the Scriptures. I learned it from other books." "Once I went back to reading the Scriptures alone, without other commentary or interpretation, delving into the Hebrew and Greek as best as I could," he continued, "I concluded that the pre-tribulation rapture was not scriptural." Dr. Brown says he wasn't surprised when he learned that "the doctrine was virtually unknown throughout Church history until the 1830s." Still, he says, some of his best friends, some of the "finest Christians on the planet", and even some of the best Bible teachers affirm a pre-tribulation rapture. That's fine, he declares: "I don’t divide over this issue, and I don’t fight over it." While Dr. Brown would not divide in fellowship with other believers over this side issue, he and his colleague Professor Craig Keener felt that "now was the time" to publish their latest book, Not Afraid of the Antichrist: Why We Don’t Believe in a Pre-tribulation Rapture, and it already has its share of opponents who "bash" it and refuse to read it. "Within the Church, there have been competing views about the end-times for centuries," Dr. Brown explains, "and we can agree to disagree with love and respect." Dr. Brown assures that "Prof. Keener and I do not bash those with whom we differ, and they will see that we examine opposing views with fairness and grace." Ultimately, Dr. Brown hopes that readers will be encouraged that "throughout Church history, right until this moment, our fellow-believers are suffering atrocities for the gospel – being burned alive, buried alive, beheaded, tortured, imprisoned, and exile. Yet, in Paul’s words, 'in all these things we are more than conquerors through Him who loved us' (Romans 8:37)."